Thousands of people are running from the crumbling "Islamic State" in eastern Mosul every day. Other families are staying put, hiding in their homes as battles rage outside, later emerging on the streets as Iraqi forces claim victory. 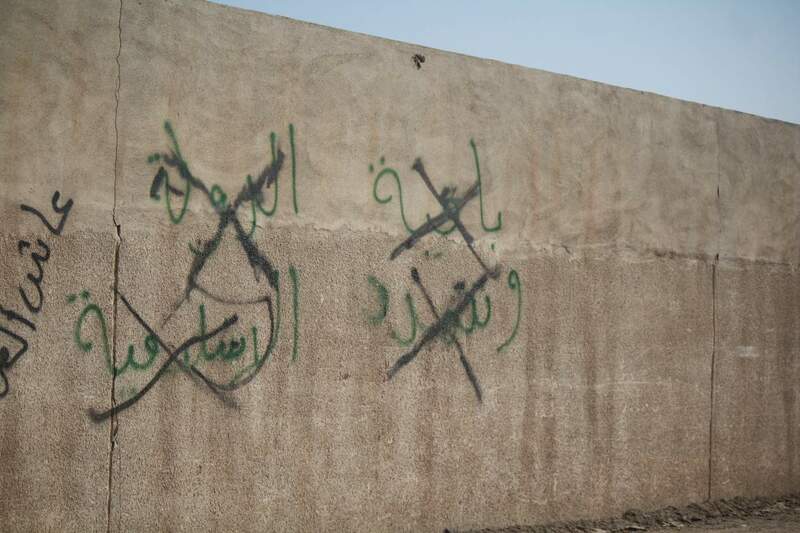 In the days that follow escape or military victory, remnants of IS remain on their bodies, in their neighborhoods and seared into their minds. Men and women are still dressed in IS-mandated styles. Discarded schoolbooks reveal the IS ideology, and IS licenses, newspapers and other everyday items show how deeply entrenched the group became as it terrorized the people. 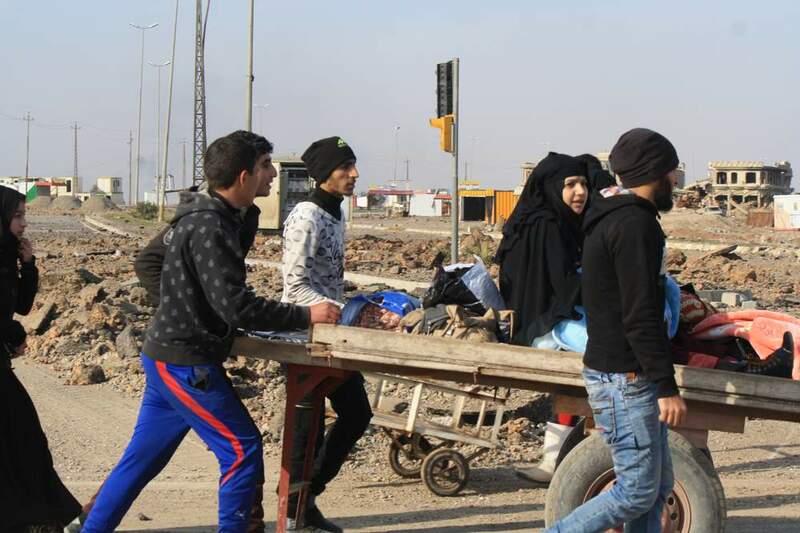 Some people fleeing their Mosul neighborhoods are running from IS, some are fleeing battles, and others run from the extreme poverty that has descended upon IS territories after what locals call two and half years of economic "nothing." (VOA/H. Murdock) Jan. 14, 2017, Mosul, Iraq. 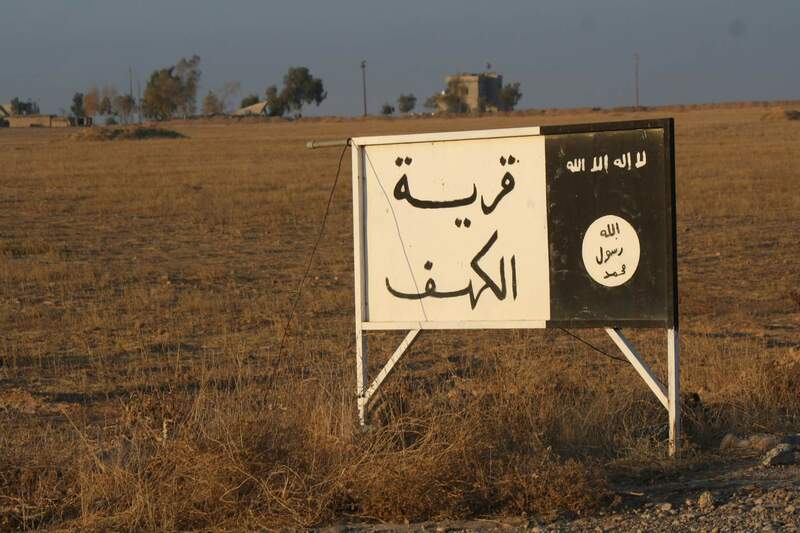 Islamic State militants enforce a strict dress code they say is based on Islamic values. Families running from the war and the militant group are almost always Muslims, and they disagree, saying these rules are not recognized by mainstream Islam. Regardless, when they lived under IS they followed orders or faced harsh punishments. The women's dress code: a black full-faced veil, gloves and covered feet, all in the name of modesty and piety. This code is enforced in two ways. 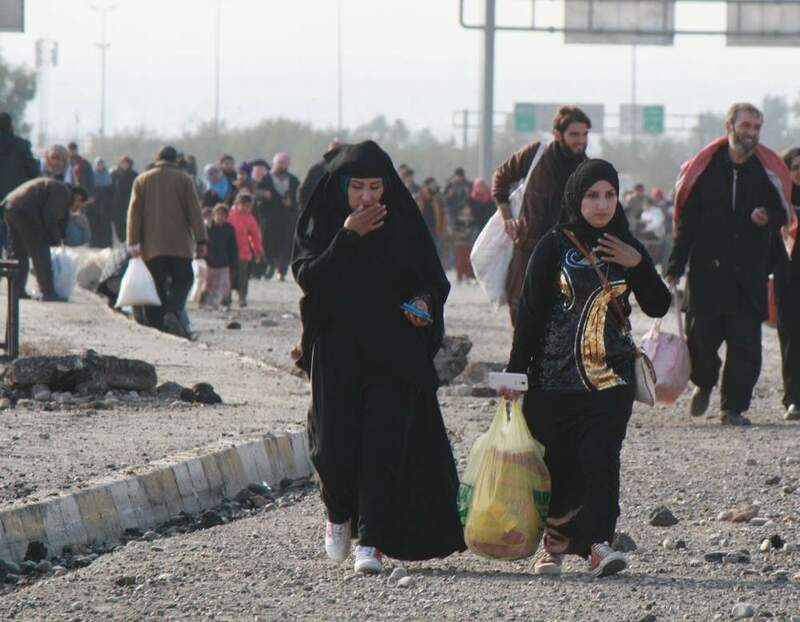 First, militants beat the husbands or fathers of women who are dressed in any way "wrong." Additionally, female IS members, known locally as "The Biters" would literally bite women who broke the rules. 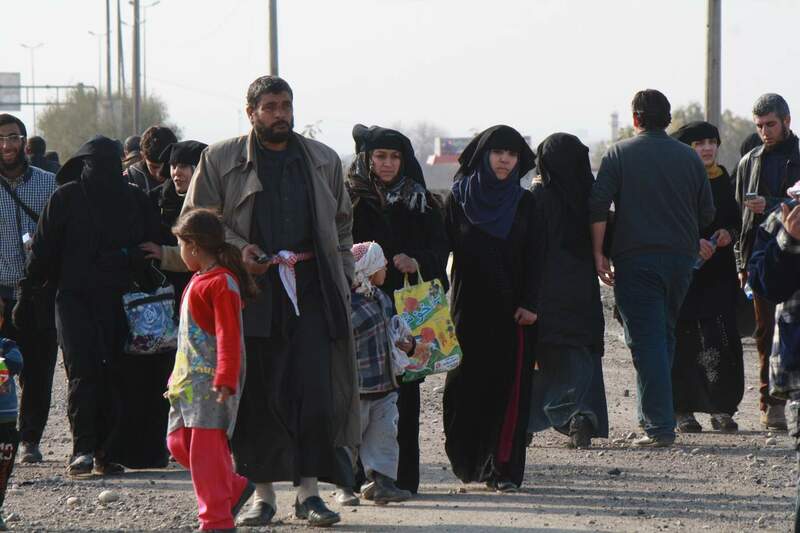 As families flee, many women flip the veils off their faces when they reach Iraqi-controlled areas. Male dress codes are just as strict, although a little more difficult for outsiders and even many Mosul residents to understand. IS militants insist all men are bearded and their hair is of even length. Pants must have elastic sewn into the cuffs so they don't reach past their ankles. 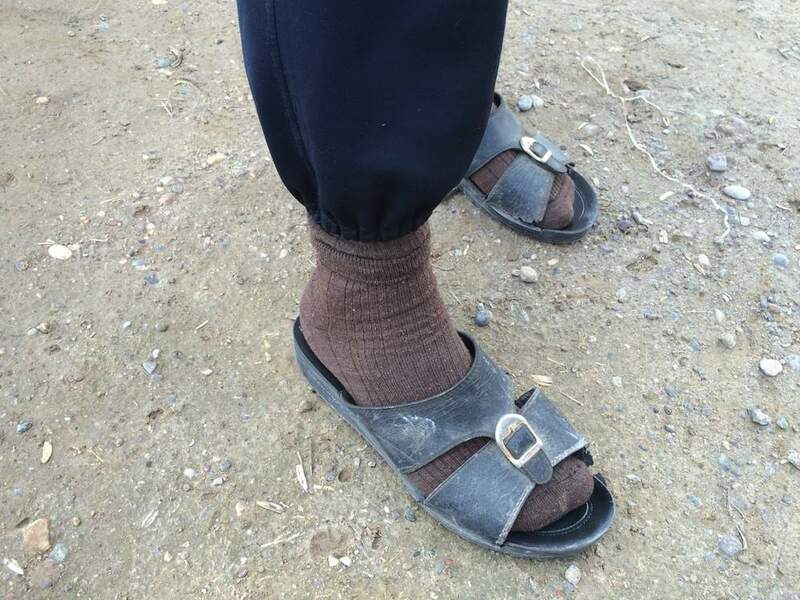 Many men improvise by pulling socks over their cuffs or wearing sweatpants. Men say non-compliance with dress codes could get them just a beating on the ankles in the streets, or jail time that includes whippings and other forms of violence. 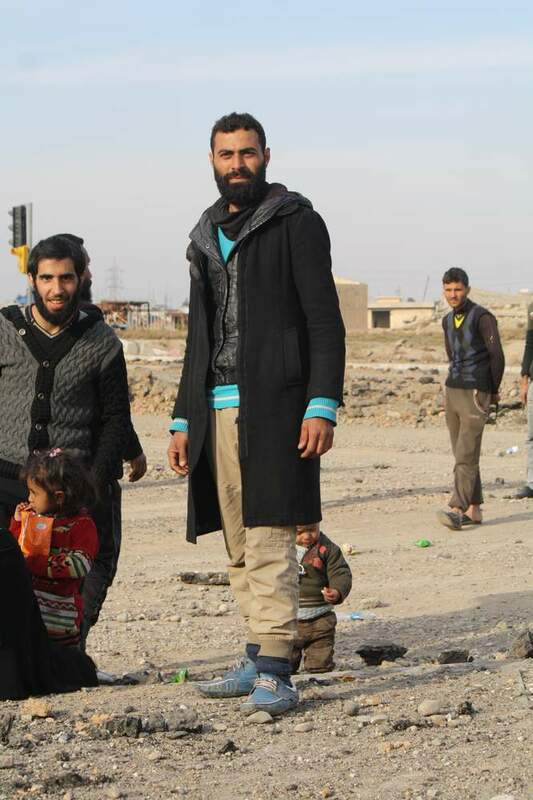 As Iraqi forces push into eastern Mosul, men emerge from their homes dressed IS-style, but change their appearance within hours or days. "On the day the Iraqi forces took our street, we immediately shaved our beards," says 27-year-old Ashraf, outside his Mosul shop in an area recently won by Iraqi forces. "Later in the day, we heard shouts of 'Allahu Akbar!' 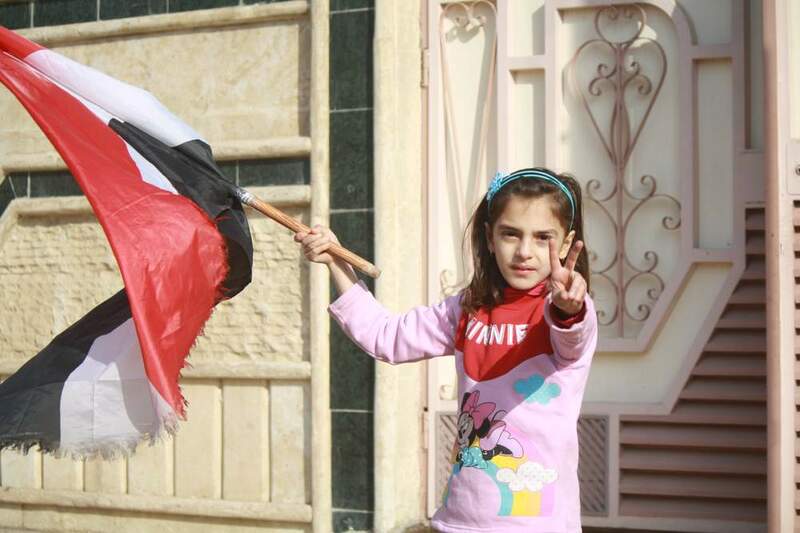 coming from behind the Iraqi army lines." "We thought maybe they were counterattacking, so we ran to the sinks to retrieve our hair," he jokes. Small shops that recently opened around refugee camps say razors are their biggest seller. 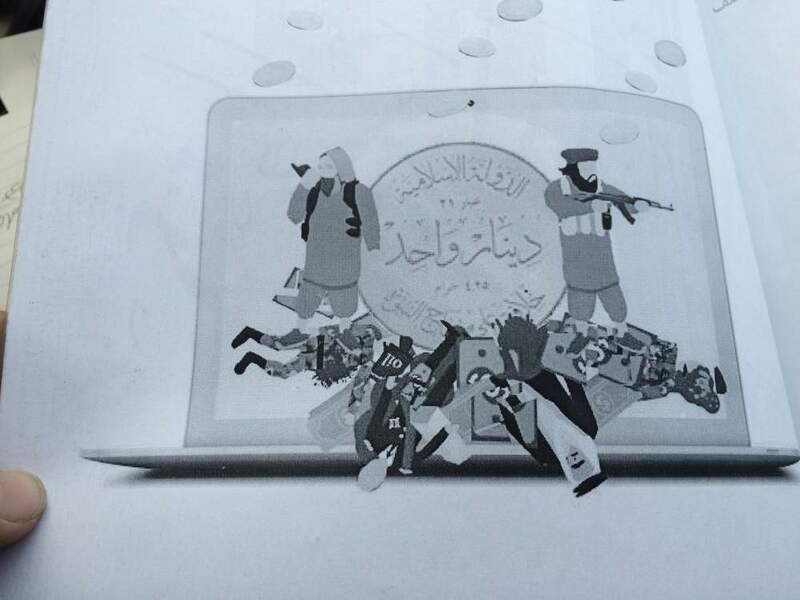 Images of violence are on nearly every page of IS-designed school books found in Mosul, Iraq. (H. Murdock/VOA) Jan. 13, 2017. 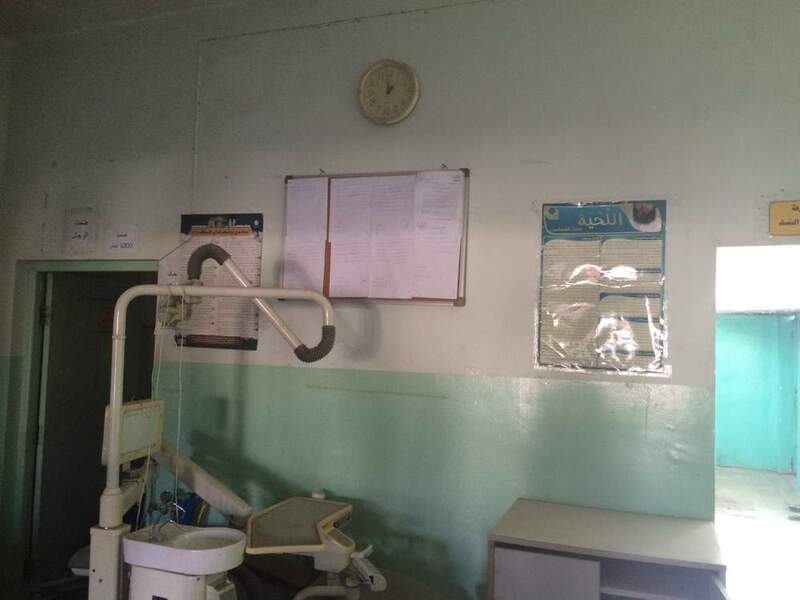 At an IS clinic, posters explain why beards are required for all men and satellite television is banned. People who have escaped say punishments for non-compliance with these rules ranges from whipping to imprisonment to death. IS newspapers are left abandoned in houses and buildings. 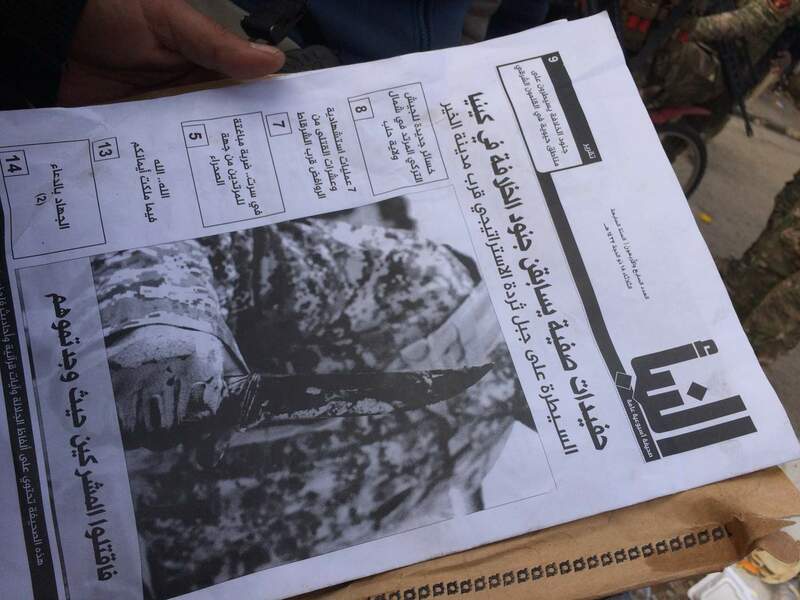 This paper, al-Nuba, has stories about IS activities in Africa and military propaganda spouting victories in Syria. (H. Murdock/VOA) Jan. 13, 2017. 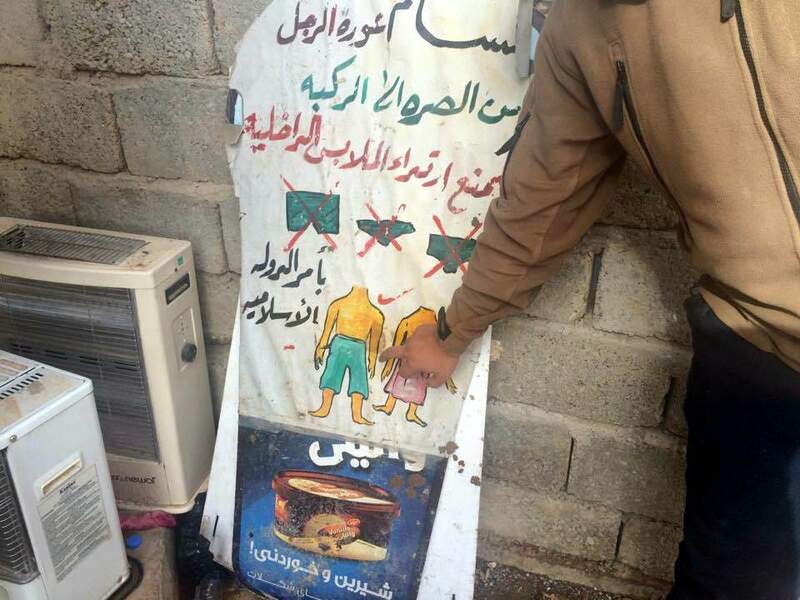 Pasted over an ice-cream advertisement in a village in Nineveh province west of Mosul are IS instructions as to which kind of underwear is permitted and which is prohibited. (H. Murdock/VOA) Dec. 16, 2016. As graffiti gets painted over, beards are shaved and city services are hopefully restored, IS's real legacy is expected to remain for the unforeseeable future. Neighborhoods are crushed, families are torn apart, children have been out of school for three years and so many people have been killed, tortured or raped it could take years to count the victims. And if all goes as planned in the next few months and IS is driven out of Iraq, a million people could be newly homeless. 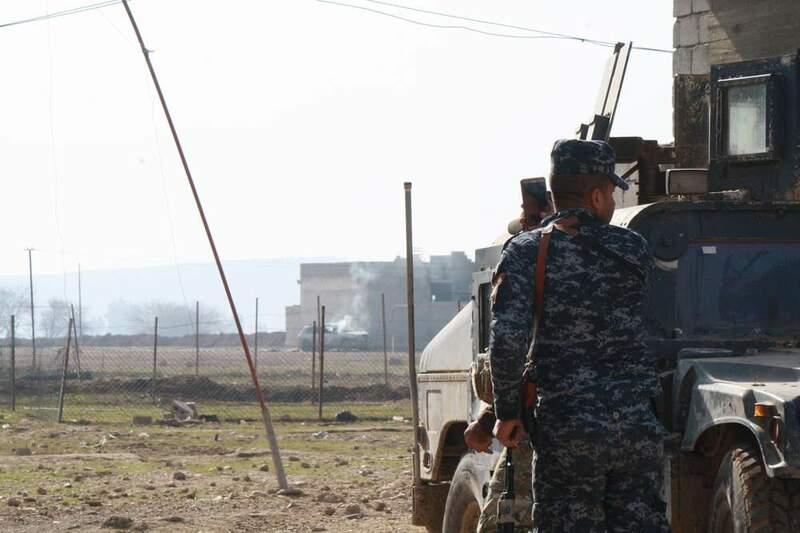 Around noon on Friday, 30-year-old Nabil stands by the gate to his house, quietly watching as soldiers display weapons they captured from IS to visiting journalists. With a thick beard and pants cuffs cinched well above his ankles, he looks like an IS supporter. 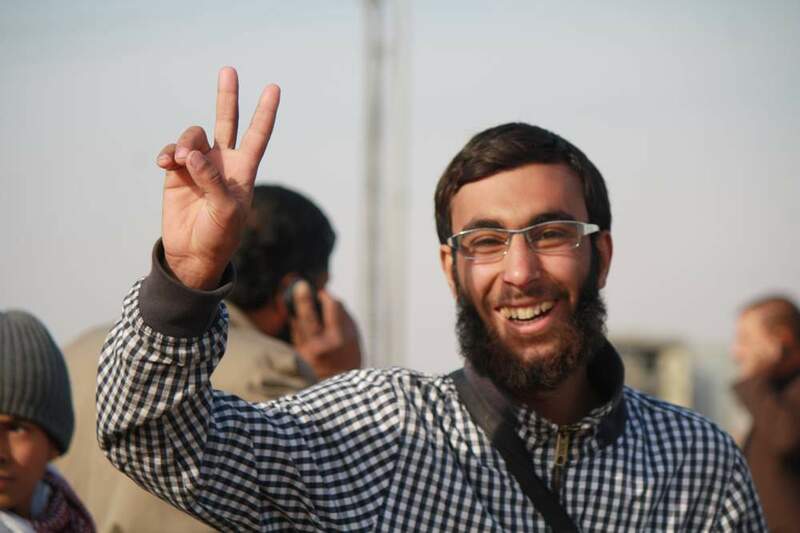 Less 24 hours before, he was not a supporter, but silently complicit, trying to protect his family under IS rule. "They were staying in that house for a week," he says, pointing to the house next door. "We could hear them talking on their walkie-talkies." 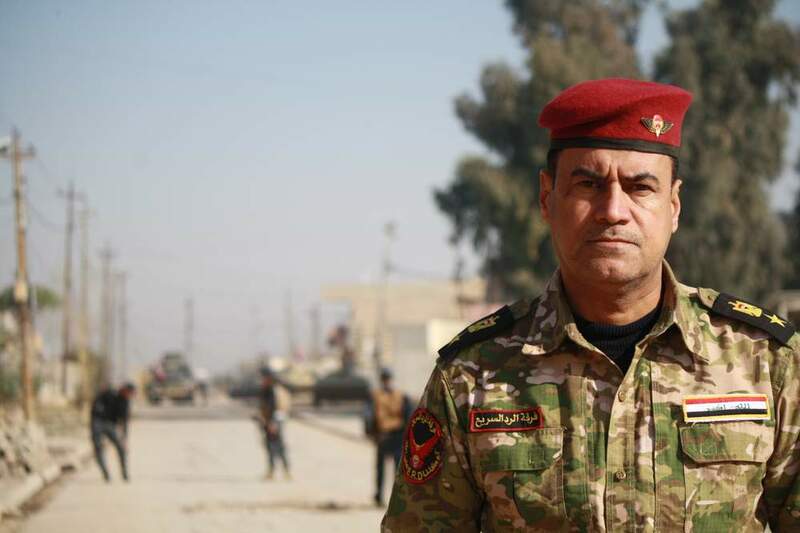 As news that the Iraqi army was getting closer to his area reached Nabil, he still felt powerless over the heavily armed militants. "We couldn't tell them to leave. We were scared." Besides violence and intimidation, IS created an atmosphere of terror by destroying holy and historical places, says Colonel Abdulamir Al-Muhammadawi of the Iraqi army’s Rapid Response Unit.As he passes an graveyard near the Tigris River, he points to broken headstones and unkempt graves.Militants damaged the graveyard, he says, claiming the dead were buried in the wrong way. “There’s nothing in Islam that says that graveyard is wrong,” he adds. 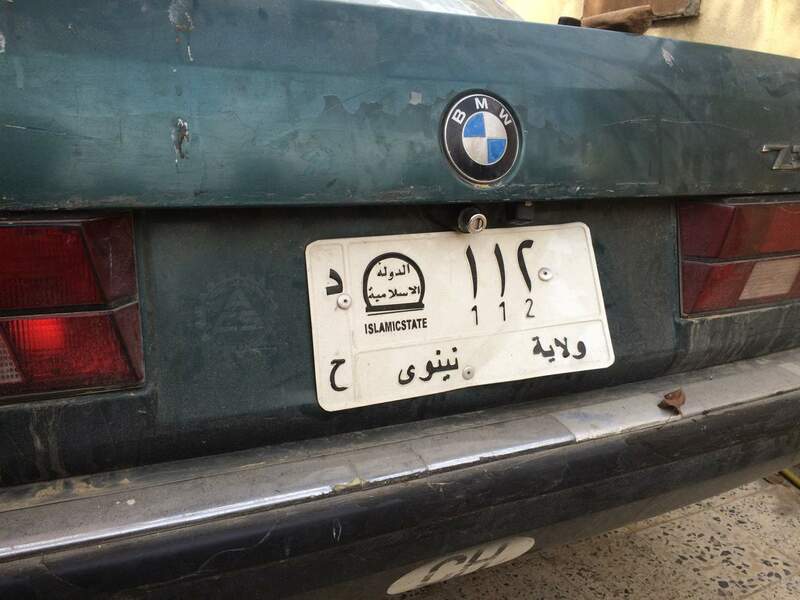 In villages and city centers, locals describe the two-and-a-half years they spent under IS as life in a prison, and are eager to share some of the horrors they survived. "They killed my brother and my mother after accusing them of helping the Iraqi police," says 20-year-old Farah, a few minutes after arriving at a make-shift bus station set up just outside the war zone. She and her family had fled on foot only an hour ago, and they duck behind a building when they hear the far-away crack of gunfire. "They murdered my brother in a mosque while he was praying," she adds. "This is not Islam."